I just finished Fred Hickey's latest newsletter (dated Aug 5, 2014) and he is getting more aggressive on the short side. Investors have rotated into large cap tech stocks when smaller stocks faltered, while at the same time fundamentals have deteriorated. Not least, the end of XP maintenance caused a 1Q and partly 2Q PC refresh cycle that seem to have fooled investors and some companies into wrongly believing there is a general capex cycle gaining momentum. There isn't and that will be increasingly obvious during the second half. Hence, he has started buying large cap tech co puts in earnest. He notes that the writing was already on the wall for stocks ahead of the recent correction. It's just that the bulls refused to listen. I agree. More interestingly he elaborates on the disconnect between stories from the front end (Synnex, PC Connection, CDW, Insight Enterprises and Ingram Micro) regarding PC demand and the mid to back end (Microsoft and most spectacularly Intel). The disconnect is mainly due to the XP refresh cycle that takes longer time to reach the back end than the front end. HP will soon (Aug 20) report its 2Q numbers and their guidance for 3Q might very well trigger a sell-off in the stock, if not in the entire hardware space. We'll unfortunately have to wait until October to get a detailed reading on Intel. They should disappoint, but they actually may still report strong numbers, if the cloud data center build-out business hasn't realized the extent of the overcapacity yet by then. Fred also continues to recommend buying gold. Now is the season for it, and if the market or economy disappoints the US Fed, a fresh round of QE should turbocharge the yellow metal. 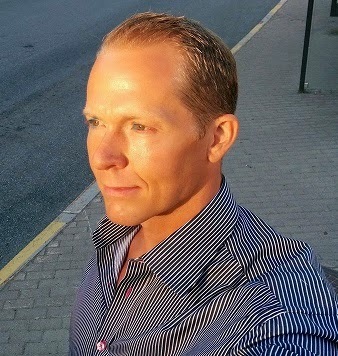 My private portfolio consists of mainly short the Swedish stock market, long gold and senior gold mines, long USD and long some hedgefunds, a small cap biotech stock and a privately held software company, as well as a city penthouse apartment without a mortgage.